Apple has officially released the latest iOS 12.1.3 (Build # 16D39 | 16D40) Update for iPhones, iPads, and iPod touch with addition of various new features and functions. Apple has also released the latest watchOS 5.1.3 (Build # 16S535) for Apple Watch devices and tvOS 12.1.2 (Build # 16K534) for Apple TV devices. The latest iOS 12.1.3 update installer carries a file size of 553.6MB approx. and users can do manual offline installation on multiple iOS-powered smartphones and tablets, because here we are sharing the Official Download Links of iOS 12.1.3 IPSW Files for Manual Offline Installation through iTunes on iPad Pro (12.9-inch 2nd Gen), iPad Pro (12.9-inch 1st Gen), iPad Pro (10.5-inch), iPad Pro (9.7-inch), iPad Mini 4, iPad Mini 3, iPad Mini 2, iPad (2018 - 6th Gen), iPad (2017 - 5th Gen), iPad Air 2, iPad Air, iPhone XS Max, iPhone XS, iPhone XR, iPhone X, iPhone 8 Plus, iPhone 8, iPhone 7 Plus, iPhone 7, iPhone SE, iPhone 6S Plus, iPhone 6S, iPhone 6 Plus, iPhone 6, iPhone 5S, and iPod Touch 6th Gen for free. 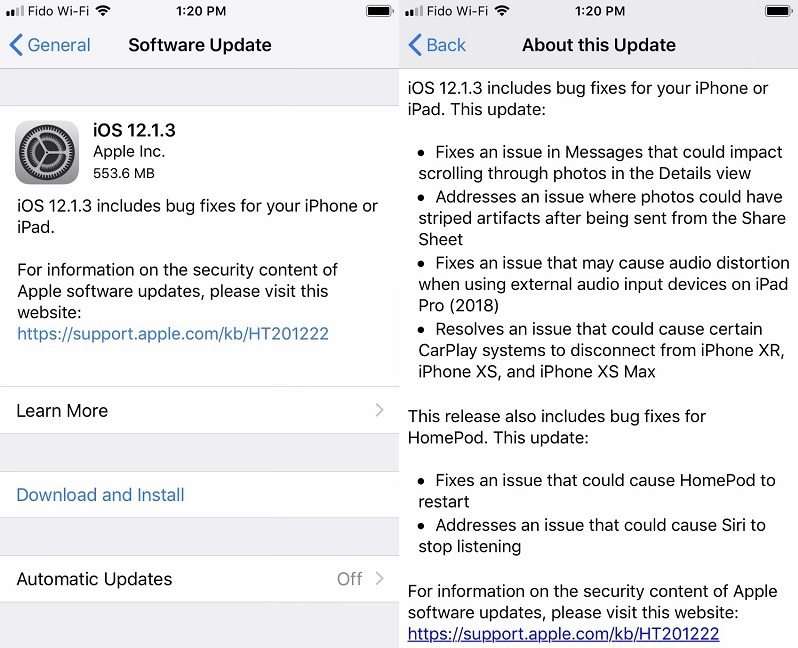 Apple has brought several bugs fixes and performance improvements just like an old iOS 12.1.2 firmware in this latest iOS 12.1.3 Final Update. Following is the full iOS 12.1.3 features changelog. How to Install iOS 12.1.3 Final Version? To get the latest iOS 12.1.3 OTA Update directly from Apple then users can navigate to this menu; Settings >> General >> Software Update. 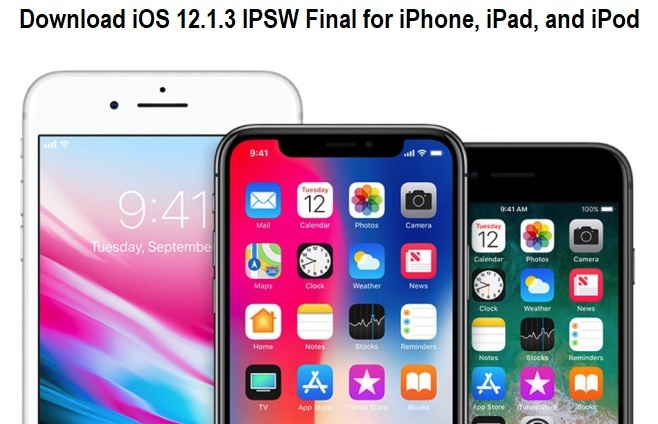 If you want to perform multiple installations offline without internet data plan or connectivity then you can get iOS 12.1.3 IPSW offline files via direct official links available below.